Fountain Powerboats has been one of the premiere designers and manufacturers of ultra high-performance speed boats, sport cruisers and offshore fishing boats for decades. In the early 1990's, Fountain introduced the Positive Lift Hull, a revolutionary new design that increased acceleration, improved handling and cornering agility and reduced fuel consumption. This have become a signature element of Fountain boats since its development. The hull has been used in the company's transition into offshore center console fishing boats of today providing fishing enthusiasts the perfect craft to run offshore efficiently and safely. Buying a Fountain: We offer used Fountain Powerboats for sale worldwide, including Fountain Center Console, Fountain Express Cruiser, Fountain Lightning, Fountain Sportfish Cruiser, Fountain Executioner models and more. Contact our sales professionals for immediate assistance. Selling Your Fountain: With a team of experienced yacht brokers and marketing professionals, we will employ a comprehensive marketing approach to ensure your vessel receives maximum global exposure online as well as exposure in person at major boat shows. 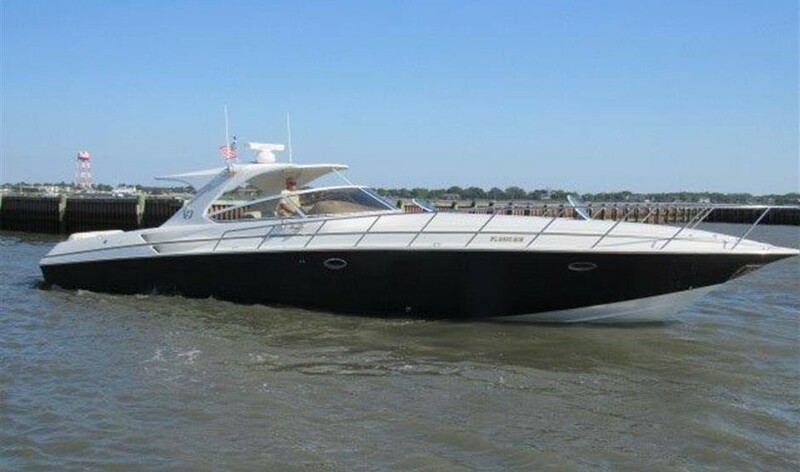 Learn more about how SYS Yacht Sales will help to sell your Fountain boat!